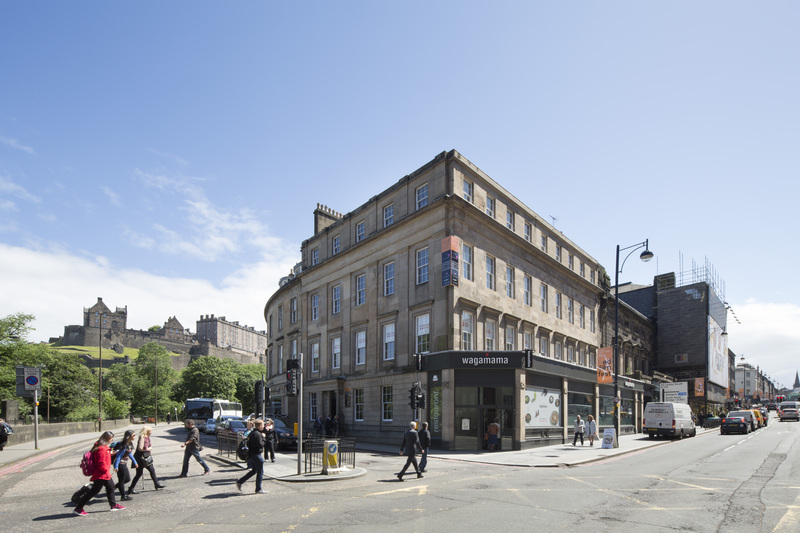 Scottish commercial property developer Knight Property Group have announced the completion of the refurbishment of their city centre properties, No2 Castle Terrace and 110 George Street, Edinburgh with an investment of approximately £10 million now made between both properties. Works at Castle Terrace involved an extensive refurbishment, which was completed by SJS Property Services over a 16 week period. The refurbishment included an overhaul of the new entrance and lift, cycle and shower facilities as well as completely replacing the air conditioning, ventilation systems and toilets on each floor. George Street included the complete refurbishment of all 5 floors incorporating new toilets and shower facilities, redecoration, new lighting and the inclusion of a contemporary entrance and inner hallway. Both properties are situated in highly desirable locations with the City’s best retail, leisure amenities and transport links on their door step. Benefiting from excellent locations and modern office space with views of the castle has proven popular for Knight Property Group as several floors over both properties have been let. Founded in Aberdeen in 1987, Knight Property Group have continued expansion within the central belt over the last 18 months, including the £12 million acquisition of Edinburgh House within St Andrew Square. The firm is the sister company of Aberdeen’s Chess Group, which owns serviced office provider BlueSky Business Space, IT venture Eskimo Intelligent Solutions and mechanical services provider Aircon Scotland.